Offshore Field Development involves planning the field development, design engineering, construction, start-up and production operations. When planned and executed with marine assets, such offshore field development projects will be technically and commercially challenging. Therefore a good knowledge and competency of the project team members throughout the different phases of the field development are keys to the successful execution of such developments. This PetroKnowledge course emphasises the use of best practices, illustrative engineering calculation, drawings and diagrams to enhance the learning experience of the participants. Relevant international and typical client engineering standards will be referred to. By attending this training course, the participants will be better prepared to function in the field development, feed and design engineering, fabrication and construction department, offshore installation, hook-up, commissioning and start-up of offshore projects. Such roles include development engineering, field and discipline engineers, project engineer, cost estimating engineers, fabrication and construction engineers, contract admin executives, CSR, construction supervisors and engineers. Understand the selection of the major support marine vessels and major installation equipment for offshore installation works. This training course will be conducted in a classroom. 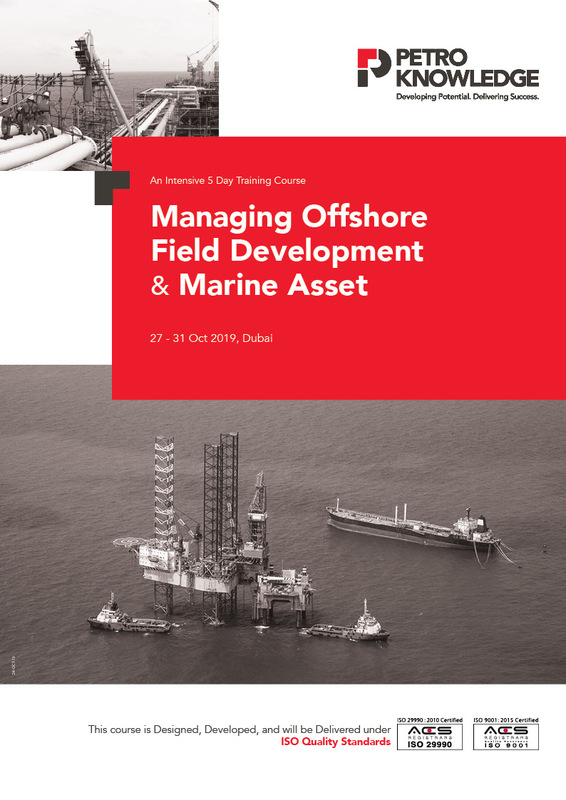 Examples and video clips of past offshore fabrication and load-out activities, as well as offshore installation activities will be used to aid the learning and understanding of the subject matters. Participants will also take part in group classroom exercises to reinforce their learning experience. Each participant will receive a set of course materials. There will also be pre-course as well as post-course assessment tests.